Ps 130:1b-4b,7-8 If you, O Lord, mark iniquities, who can stand? 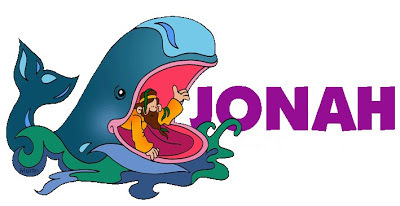 In the first reading, Jonah finally answers God's call for him to announce a message to the Nineveh people. 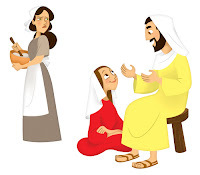 He did so very reluctantly, simply complying to God's inescapable call. As you will see, his true repentance and change of heart comes later. There were a few lessons for Jonah and the people of Nineveh; listen to the call. Of course, being as merciful as God is, there is hope that He will give a second chance. As Jonah's experience teaches him, it is probably better to listen the first time because the waters can get pretty rough. In the Gospel, Martha and Mary are depicted as classic sisters. On the one hand, Martha knows she has the most important guest in her home and sees the need to make sure everything is spot on. Meanwhile, Mary takes the moment to just sit and listen to Jesus. I would imagine that Martha was the older sister. In seeing the contrast between the two, it becomes clear that both roles are needed. If you've ever coordinated an event, you know that there is no time to sit, and in the same token, one who is at an event, probably doesn't see all that goes into putting the event together. 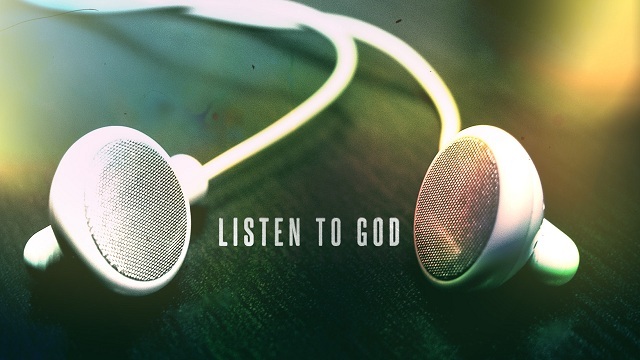 Jesus is asking us to listen and to discern God's will in every moment of our lives. Whether God's call to us is as strong as Jonah's or as simple as Mary's, we should try our best to listen and respond accordingly. Thanks again, for letting me contribute to this amazing blog. It is always a pleasure working on this and it gives me a chance to take a moment and dive into the readings a bit more than i'm used to. God bless you all.